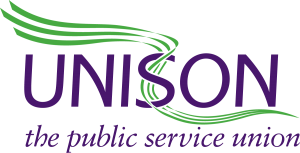 UNISON has a strong commitment to providing learning and development opportunities for their members (information on the programme offered can be found on their website). Activity is provided both online and through a regional and local network of learning leads who provide activity in branches and for specific groups of members. Member learning focuses on personal development, functional skills and formal qualifications, additionally UNISON provides learning and training for members who are activists. I met with Katie Shaw, a National Learning & Development Organiser to talk about the project, what it aims to achieve, how it is being rolled out through a pilot and train the trainer approach across England. Aims: The UNISON digital inclusion project aims to support workers who are experiencing digital change in the workplace. Many workers have low or no digital skills so the priority is to provide them with digital skills development and to do this by embedding Digital Champions into branch learning structures. 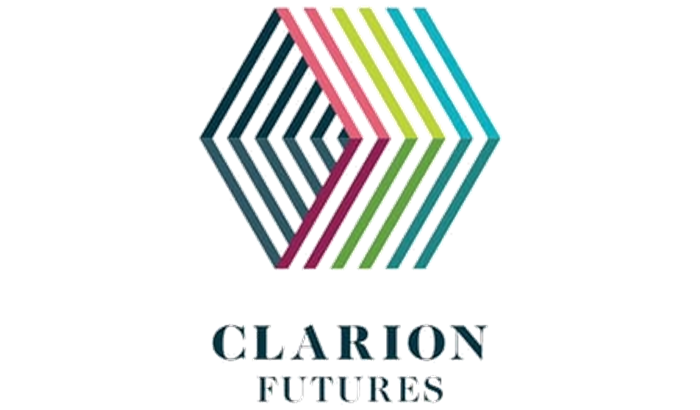 Funding: Support for the project comes from the Union Learning Fund (supported by the Department for Education). Leadership: the project is taking place in the context of changes and digitalisation across the public sector, for instance within the NHS. It has had backing from key stakeholders such as the Assistant General Secretary responsible for member learning who is supportive of digital inclusion work. 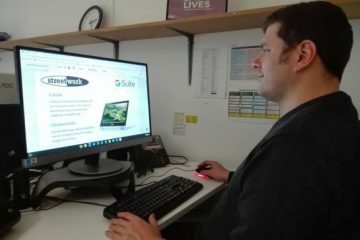 Workplace recognition and an active culture of union learning activity make it easier to set up Digital Champions projects in some workplaces, but where there is no recognition but keen member engagement, the project is harder to get going. Priority learners: The priority groups for the project are public sector workers and those working for private companies delivering public services, who have no or low digital skills. Members involved will be in roles within a variety of workplace settings including social care, estate management and catering. Understanding learning needs: the project uses learning surveys to collect detailed information from learners that address basic digital skills both in and out of work, linking those skills to the government’s Essential Digital Skills Framework. Specific learning needs identified ranged from skills to use online HR systems, through to changes to social care systems to include cloud-based case management. Working with the University of Exeter, a large scale Skills for Future survey has been conducted (Help us shape the future of learning) with approximately 32,000 responses received. The results are expected to be published in Summer 2019. The survey includes questions about digital skills and automation/digitalisation of the workforce. It will provide UNISON with a large volume of useful data on what digital skills members want to specifically develop and what they see as being required in their changing workplaces. Project set up: Working in a large member organisation across England the project is complex and it was good to hear how Katie has focused on building the project in stages. Early identification has been completed of geographical localities where intensive work can be carried out. One of the criteria is to utilise existing branch learning reps, helping them to recruit additional volunteers who will be trained to deliver Digital Champion support in each workplace. A train the trainer approach will be key to building project capacity. 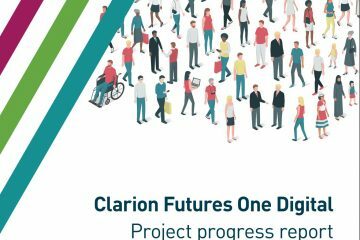 Project resources: Work has been completed to design a Digital Learning Survey to be used with potential learners, a guide for branches on the Digital Champion model of working, and a general leaflet on the Digital Champion role are also now available. UNISON are benefiting from input from Digital Unite as they develop their project and resources. They are also using Digital Unite’s Digital Champions Network as a platform to support the training and on-going development of Digital Champions in the localities. Pilot work: has been carried out in Blackpool working with the local NHS Trust (and their contractors). An initial development session discussed priority groups locally and shared learning about the Essential Digital Skills Framework. A cohort of 16 Digital Champions was trained through a face to face session. Katie said how great it was in the follow-up that she could access information on the progress of the Champions through the Digital Champions Network, logging into to see what online courses were being completed and resources accessed as the project moved into the delivery phase. Measuring impact: data is collected and reported to the Union Learning Fund on the number of learners supported. Local projects would be given advice on how to identify their own evaluation criteria linked to their local priorities. The locality focus differs – not all areas are so involved in learning within UNISON, or do not have it as their core focus. Others have activist development as more of a priority. Learning priorities can be linked to local needs. Providing training to support to in-work skills development, as well as training to support improved member engagement and use of digital to support Union activities. Access to devices – an example was given from Essex where a local depot had access to one computer only which was located in the office of the manager. Some members have no in-work access to a device at all (for instance people working in local cemeteries). WiFi to support in-work learning is not always available. 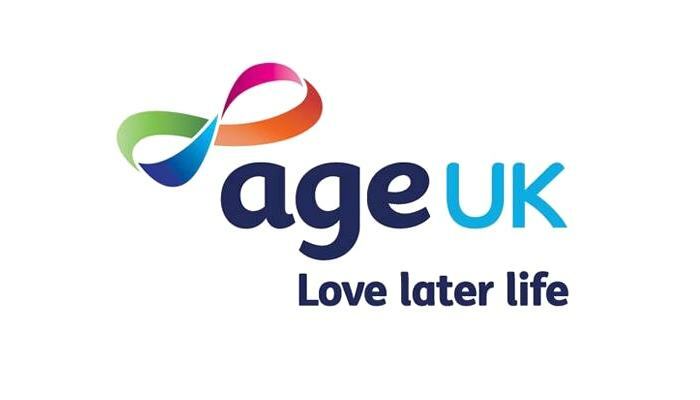 Providing opportunities to staff in dispersed posts – such as care workers undertaking home visits will require dedicated learning time to be fully available. Next steps: these involve the development of a project guide to support the development of Digital Champion projects at a local level. Embedding the project fully into branch learning strategies. Interested to know more, here is the guide Getting started with your Digital Champions project. What would you want to share with others? Katie recommended keeping a focus on tangible digital changes taking place in the local workplace. Also to design your own workplace surveys – which will allow a project to focus on both the wider Essential Digital Skills as well as local priorities usually linked to local IT systems and packages. The project was also keen to focus on creating a blended learning environment – one that will create a learning culture through a mixture of informal Digital Champion support and more formal learning opportunities offered through the branch learning network.